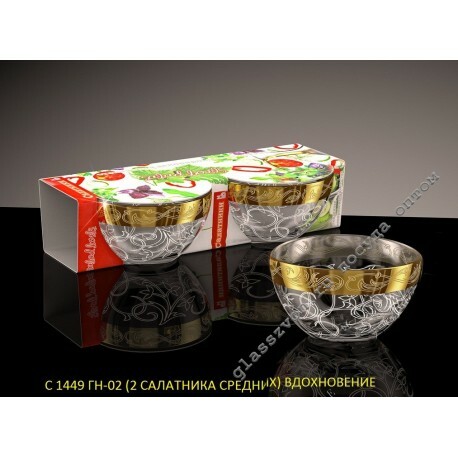 "An excellent set of salad bowls, decorated with fascinating engraving and gold plating, will go to the liking of all consumers without exception. These sets consist of 2 medium-sized salad bowls, which makes them incredibly compact and convenient, both for making mixed salads, and for forming puff varieties of this dish. 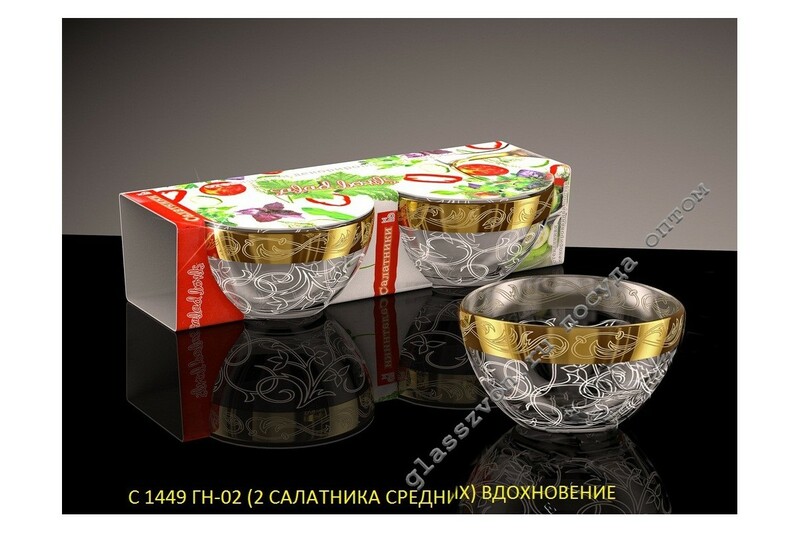 You can always buy glassware with engraving and spraying in our company. We are a direct manufacturer of tableware with engraving, which gives us the opportunity to make each time a unique and bright product for every taste. Low price and high quality of products, make our sets with dusting in bulk incredibly popular on trading floors of various scale.